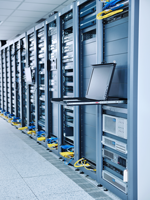 The Engineers at JR-Tech are the foremost experts in Server Migration in the IT industry. Many businesses and IT departments rely on JR-Tech for their server migrations. We specialize in migrating servers and data from one platform to another, and exclusively multi-platform migrations where no specified migration path exists. Still running legacy applications? JR-Tech has solutions for you too! We can migrate your servers to new hardware and software at the same time with no downtime for your business. We can perform the entire migration off-line and leave your original servers in tact with no alterations, alleviating any risk during the migration. We can automate the complete migration process, and make the entire experience seamless to your users. Many software vendors would have you upgrade with every new release, but most businesses find this unfeasible and too costly. When software releases are skipped many vendors choose not to support their customers and provide no upgrade path. This is where a migration from JR-Tech is needed the most! We can get your systems on the newest releases without the headache and costs of a multi-upgrade solution.